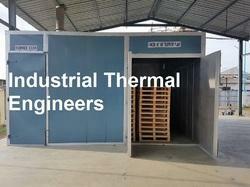 Pioneers in the industry, we offer wood dryer and agro waste dryer from India. 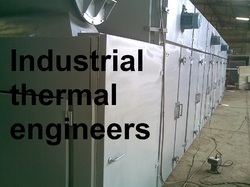 We offer a large assortment of Wood Dryer to the customers. The offered products are manufactured using the finest quality raw material and top notch technology. These products are available with us in various models according to the customer’s given requirements. Moreover, we offer these to our customers after make sure that our offered product range is of the best in quality in the market. Which wood you want to season, Size of wood and relative humidity in wood? Thermal Wood Seasoning Systems working in more than 140 Factories in India as well as abroad. Since 1979 is best confirmation of the success and trust which operators of the manufactures have given to us. Looking for Agro Waste Dryer ?